Battery powered - 3 x AA's. 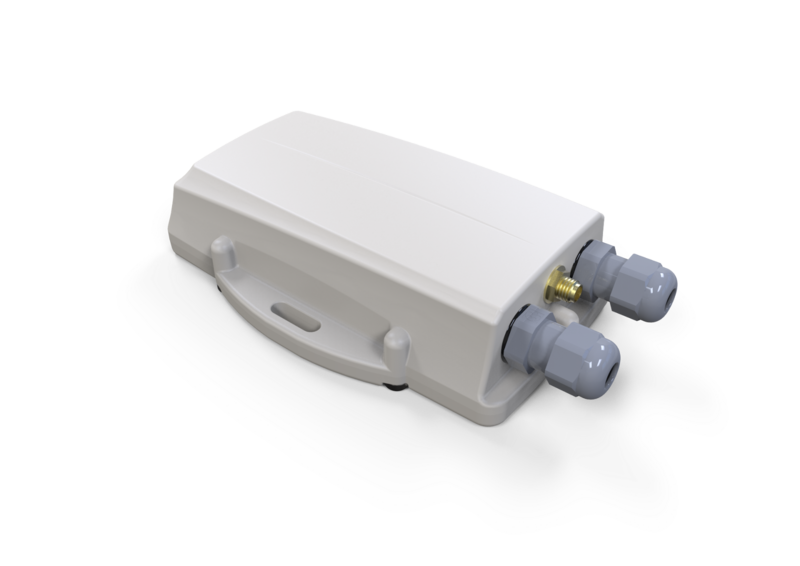 LoRaWAN communication, covering all 800 and 900 MHz zones worldwide. 2 x Analogue Inputs, 0-30V, with auto-ranging. I²C interface, enabling a variety of sensors. A temperature sensor is shown below. We're working on the firmware now. We should be shipping samples soon. Yes, this is different to the SensorData products. Less functionality, but at a better price. LoRaWAN only for now. Falcon housing rending, with two grommets. A view of the battery side, in the housing. And another view of the underside, with a temperature sensor connected. The "top side" of the housing. There is a flat face accommodating grommets to expose sensors.